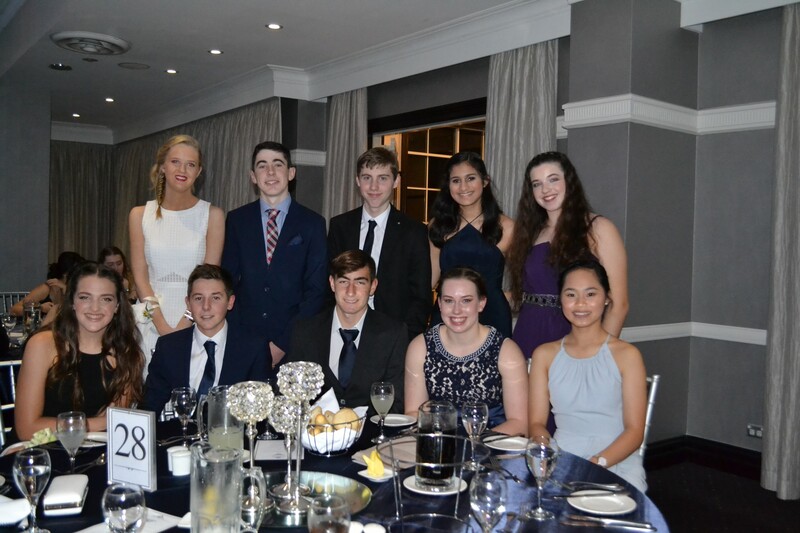 On the 22nd of July, Year 10 had the privilege of participating in a spectacular Dinner-Dance held at the Epping Club. 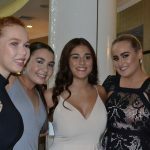 It was a night full of smiles, laughter, stunning dresses and great guys from different parts of Sydney. All year the Yr. 10’s were waiting with anticipation for this amazing night to happen. 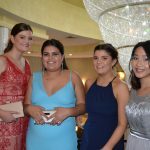 There were masses of online shopping for the perfect dress, finding dates, looking out for the perfect makeup look, finding shoes and so much more. 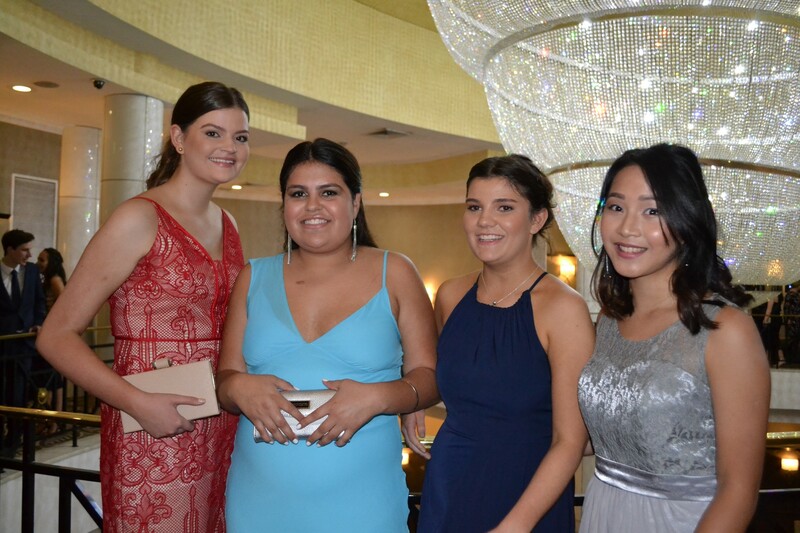 Butterflies in our stomachs all drifted away when we entered the amazing ‘Epping club’ and were welcomed by our teachers, greeting all our friends and taking photos with our parents, dates, and friends before heading upstairs to be seated. 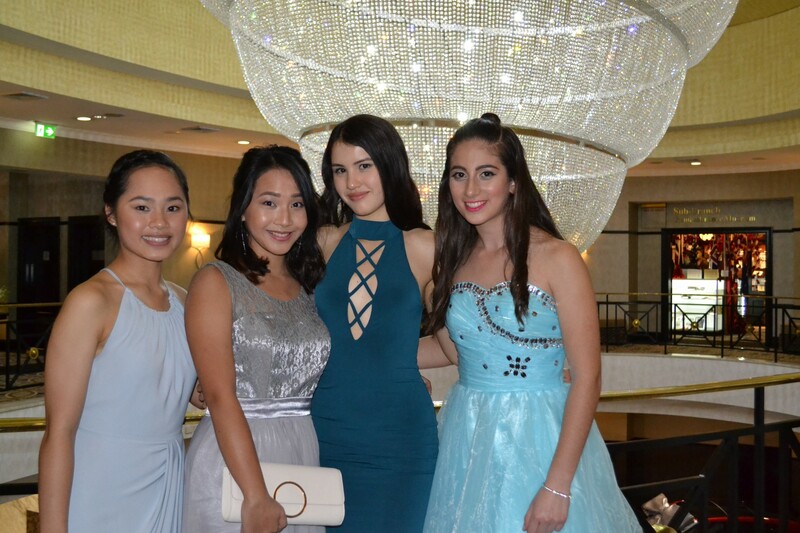 The theme Under the Stars and the navy and silver colour scheme, made all the girls dresses stand out, emphasising how beautiful everyone looked. 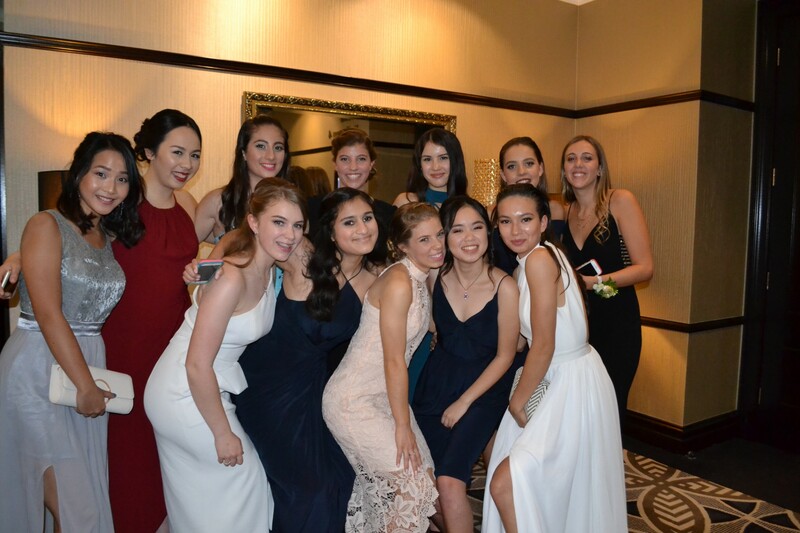 Every girl looked simply stunning! The night was fantastic, full of fun and enjoyment for all…. as well as sore feet for many girls. The food was served from 7pm and everyone enjoyed the chatter and laughing amongst their table groups while meeting new people and making friends. 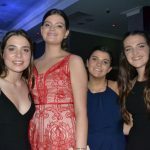 Everyone had a great time on the dance floor dancing to great music with their friends and dates and the DJ very entertaining too. 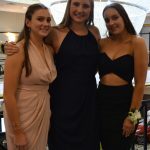 The night provided a great opportunity to see many of the girls we have known for a long time in a very different light, and everyone looked incredible. 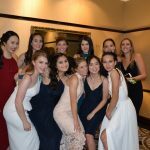 Overall, it was a special night filled with great memories, one that will remain as a highlight of our high school lives for all of the girls. 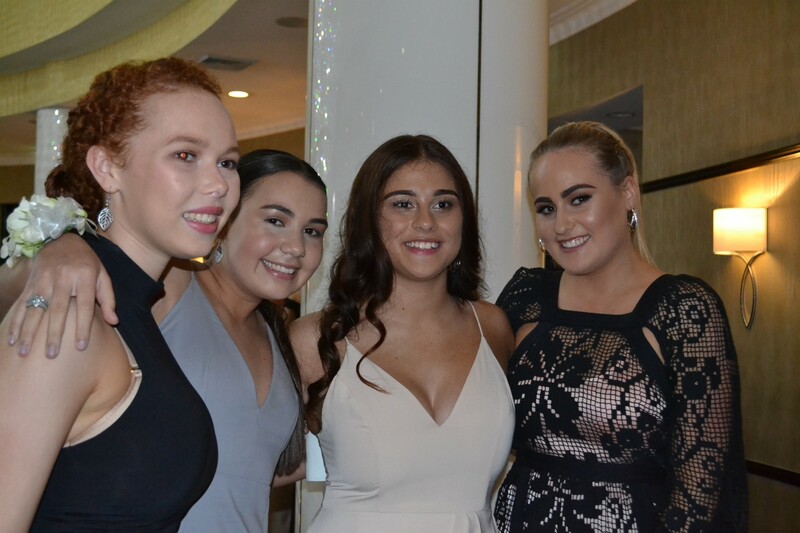 Year 10 at Loreto would like to say a big thank you to Mrs Vink, the Epping Club, the DJ and everyone else involved in making the night possible as it was truly remarkable and unforgettable. On Tuesday our new SRC Council had their training afternoon in the Curran. Mrs Stooke gave an overview on the specific role of the SRC at Loreto and the girls took time to get to know each other. 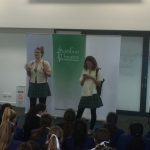 The Student Alliance is a network in Australia, New Zealand and Asia that strives to bring girls schools together in order to strengthen the voice and value of women in society. It focuses on female empowerment, through collectively discussing and addressing issues that young women of the twenty-first century face. 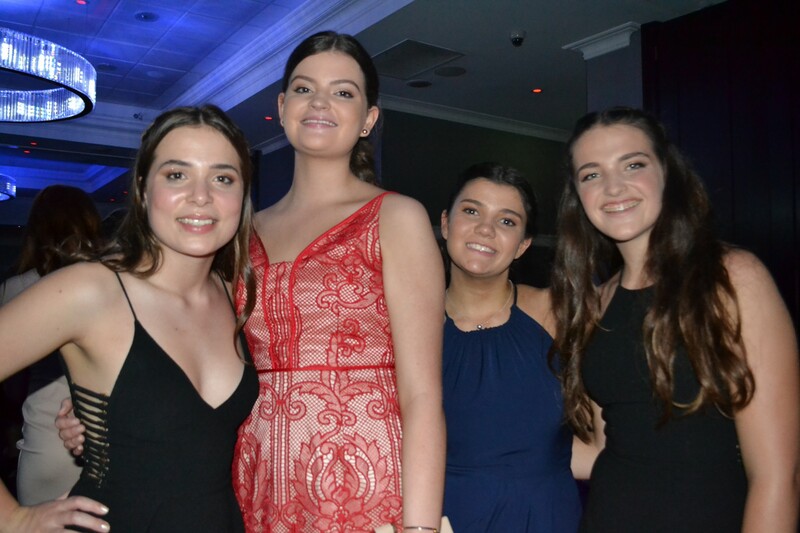 The Student Alliance allows a collection of elected students from Years 9, 10 and 11 to meet and interact with many other girls’ school in the greater Sydney area, engaging in the areas of society that they feel women are most disadvantaged. The group meets once every term, congregating at a different school each time, with each session differing in its focus and structure. The Student Alliance has had the privilege of listening to many speakers from different ages, careers and experiences share their perspective and knowledge, with topics ranging from social initiatives and media professions, to outreach programs and awareness campaigns. 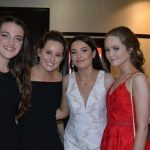 However, this year the girls alliance has been focused on giving us students the opportunity to investigate an issue in society faced by women and girls, and to work collaboratively within a group of other girls schools in order to research and promote change in this area. On Tuesday the 26th of July, we travelled to St Catherine’s School, Waverley for our third meeting this year, accompanied by Mrs Nairn. Each team is developing a project to showcase their research in the Term 4 meeting to all the Principals from our respective schools and also VIP personal. This group includes advocates from our varying research topics such as refugees, women in the media and women in the workforce, ultimately aiming to raise awareness and inform. Having the opportunity to explore a broad range of societal concerns in such an open and passionate environment has not only informed our opinions and perspectives, but has also allowed us to see that in order to achieve gender equity, we must enact change in our community through challenging accepted behaviour and encouraging women to speak up and work together. 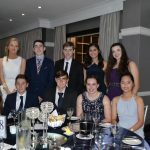 The Student Alliance would like to thank Mrs Nairn and Mrs Vink for enabling us to be a part of such an incredible network, and we hope to transfer our alliance experiences into positive change in the Loreto school community. 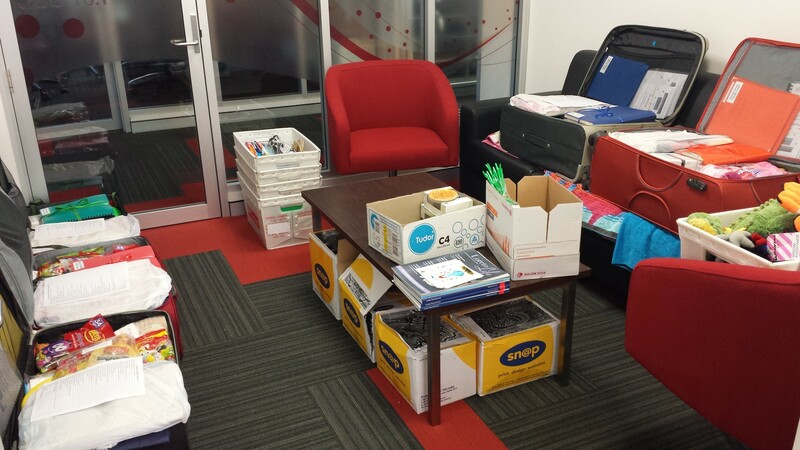 Our year 9 students, their advisors and a few extra teachers are feverously getting ready for another amazing trip to FNQ! This year for the first time we will have 5 groups going…and all is waiting in anticipation to find out on Sunday morning if they will be in the Red, Yellow, Green, Blue or Orange groups this year! 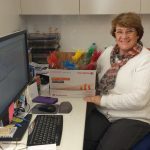 Mrs Anderson has been working non-stop over the last few months to meticulously plan everything in the finest detail to ensure a memorable time away for all…from plane tickets, accommodation and bus bookings, meals, guest speakers, work books, special treats, and so much more! Safe and insightful trips like this are only possible through the culmination of hours of preparation and the input from so many people. 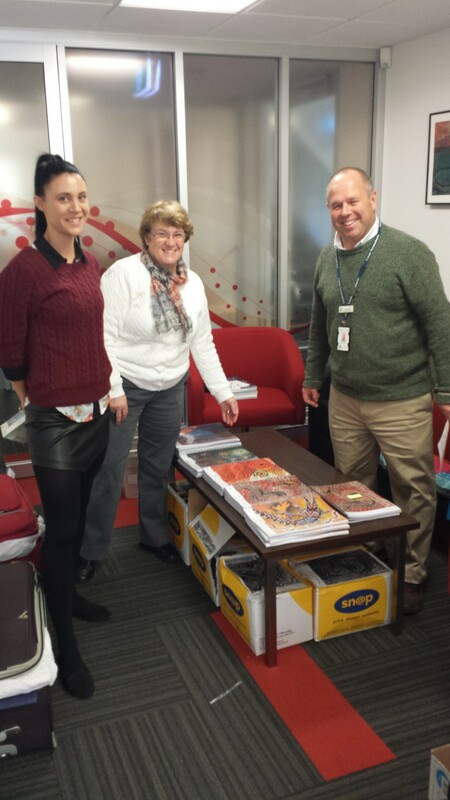 We wish everybody going to FNQ in the next 2 weeks many blessings, wonderful new experiences and a safe trip away. We will keep you in our prayers and eagerly await the many photos posted on our school social media sites. 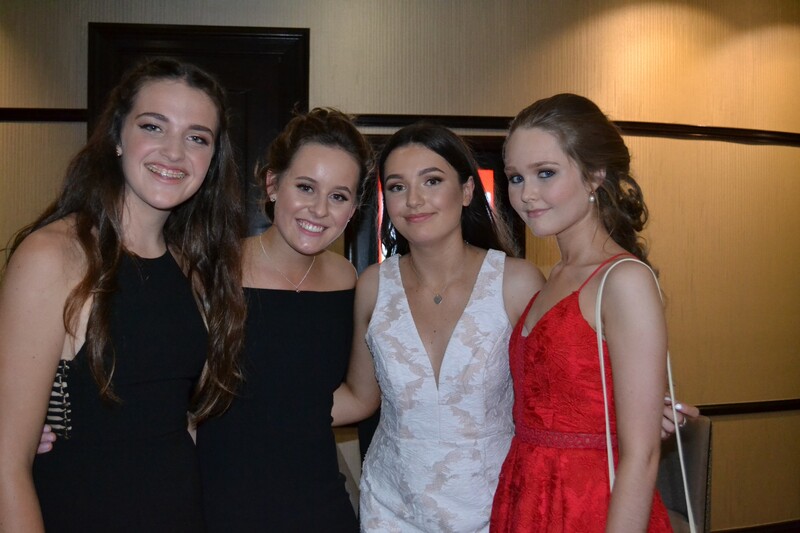 As our year 12’s start their second last school examination after so many years of preparation and hard work, we wish them clear minds, good papers and confidence in themselves. We say a special prayer for them all! A letter of information will be sent soon about the scheduled holistic plenary meetings for year 7 and 8 coming up from Monday 22nd August – Friday 26th August and Monday 29th August – Friday 2nd September. Bookings will be via PTO. Were in conversation with Mrs Vink on deep meaning of the value, the new theme for the year and the design of the banner. Year 9 enjoyed listening to Mrs Stooke and Mr Moran on the last few tips to make their FNQ experience an unforgettable one. 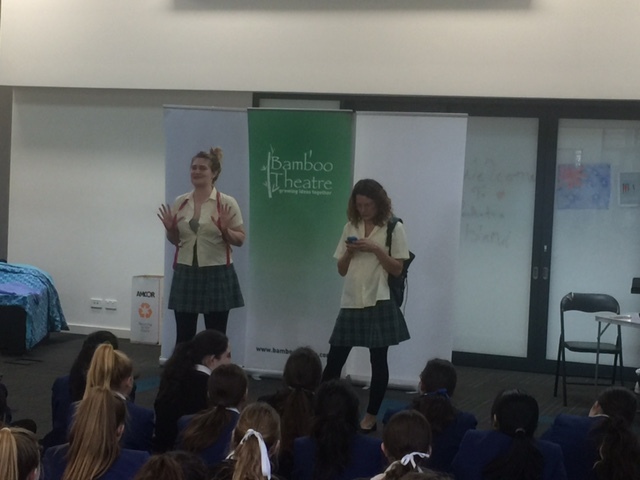 Year 8 attended a workshop by Bamboo Theatre “Cybershorts’ and a Q&A on the moral and ethical issues faced by the TechSavvy I-Generation. It was presented as 3 short plays using Improvisation workshops and Forum Theatre. This week in Conversation with their advisors on preparing for the holistic plenaries. Year 9 on Outreach to Far North Queensland. Paul Dillon is the Director and founder of DARTA and he is passionate about ensuring that the community has access to accurate and up-to-date alcohol and other drug information. 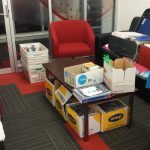 Drug and Alcohol Research and Training Australia (DARTA) aims to provide education and training expertise as well as high quality research assistance on a wide range of alcohol and other drug issues. DARTA specialises in providing education and training to a wide range of audiences and can tailor presentations to suit any agency’s requirements in the area of alcohol and other drugs. 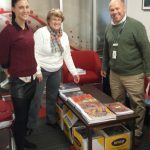 Each year, we present education sessions to hundreds of school communities right across Australia, delivering information to students, teachers and parents. 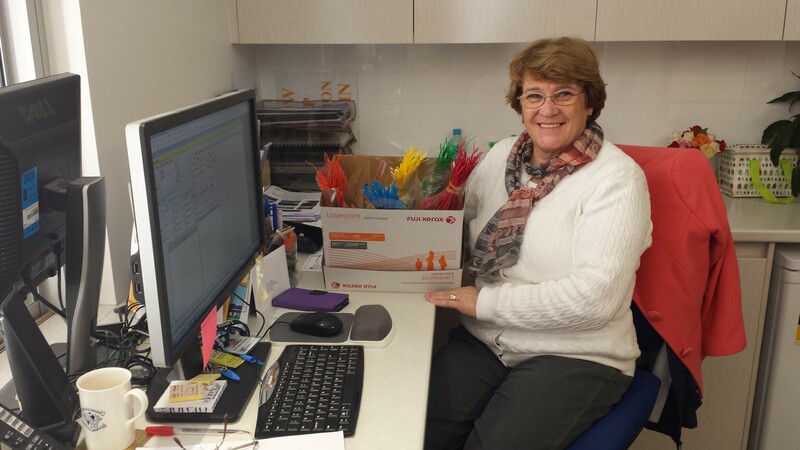 The DARTA website has lots of important information and factsheets for parents to explore. Below is a list of some of the factsheets available. 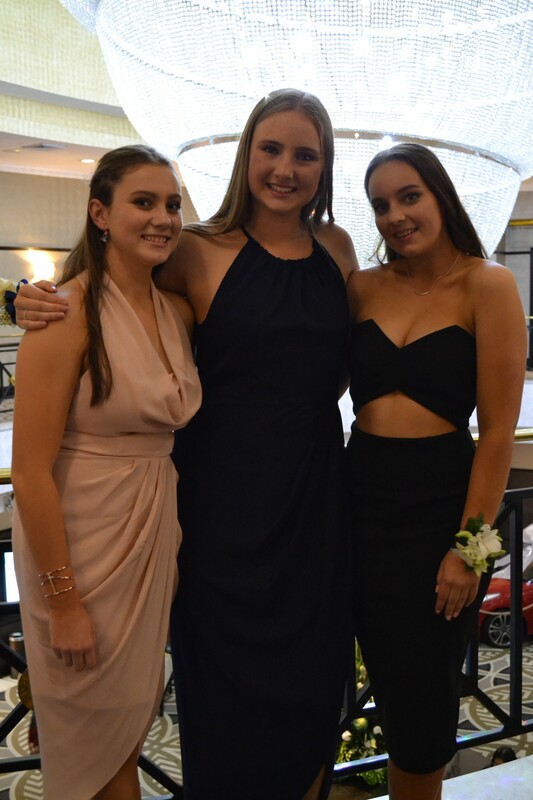 Just a reminder for the winter uniform your daughter’s dress length should be below the knee for the junior dress and mid-calf for the senior skirt. Can I please ask for your assistance in making sure your daughter is wearing all the correct jewellery, is wearing her hat to and from school and only bringing to school her Loreto school and sports bag. The earrings at Loreto should only be small plain round silver or gold studs or sleepers or small white pearls. No decorated, shape other than round, no coloured or sparkly earrings are allowed. The girls are aware of the consequences if they do not follow the uniform guidelines. All the information about uniform is in the school handbook on page 20. If a student feels unwell at any time during school hours, she should inform a staff member who will sign her handbook and send her to the Health Centre. Inform her parents to collect her from school. Or keep her in the Health Centre until she feels well enough to return to class. Under no circumstances should students phone or message their parents that they feel unwell and arrange to be collected directly from Student Services by her parents. Parents are asked to support the school to ensure the correct procedure is followed. Phone: Student Attendance Line on 9473 7354 – leave a message that includes your daughter’s name, House, Year and short reason for her absence. Please inform the school of your daughter’s absence before 8.30am. If your daughter’s absence remains unexplained after 8.45am, a text (SMS) message will be sent to your mobile phone reminding you to contact the school and explain her absence. On your daughter’s return to school, a signed note explaining her absence must be provided. You can use the perforated slips in the back of your daughter’s Student Handbook. The signature of the parent or guardian is essential. The written note must be handed in on her return to school even if an email or phone call was made earlier. The note must be handed into Student Reception within seven days of the absence. The absence note is a legal requirement. If your daughter arrives to school after 8.20am, she will be required to sign in late using her Student ID Card. It is expected that she will have a note to explain her lateness – there are perforated slips in the back of each Student Handbook. If your daughter is required to leave the school grounds earlier than 3.15pm, she will be required to sign out using her Student ID Card. A permission note not an email must be provided, clearly stating the reason for the leave and the time of departure. Again, the signature of the parent or guardian is essential. 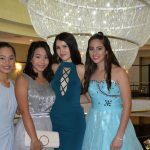 Please contact me on pastoral@loretonh.nsw.edu.au or 94873488 if you have any questions. 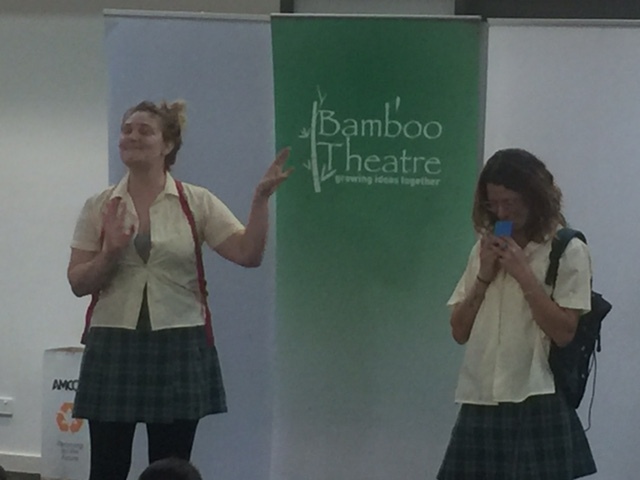 On Wednesday 27th July the Year 8 students were fortunate to be the audience for Bamboo Theatre as they presented ‘Cybershorts’. The performance involved three short plays that highlighted some of the key issues about keeping safe and being respectful in our use of the internet. The first play was titled “LOL” and followed the woes of a teenage girl trying to select an outfit for a party and falling in to the trap of seeking approval via social media. The second skit was called “Generation Text” which educated us on the dangers and the social and legal implications of sending or posting inappropriate photos online. Finally we watched “Fakebook” which highlighted the pitfalls of interacting with strangers via social media and the fact that we cannot know for certain with whom we are talking online. The performances were very engaging. 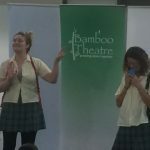 The actors, Emily and Rebecca, were very convincing and clearly understood the thoughts and actions of students our age. They were able to address these issues with humour and conviction. The performance was also interactive, with input and ad-lib performances from some of the Year 8 students adding to the entertainment. There were several key take home messages, particularly with respect to being aware of the ‘Terms and Conditions’ of the social media apps that we use and the privacy settings that we need to activate, such as turning off geo-location. By doing this and minimising the personal information we share we protect ourselves more effectively! Overall this was an enjoyable and informative experience.